Recently the Gynaecological Cancer Fund and Topshop teamed to raise awareness and money to fun research in to gynaecological cancers which affect thousands of women all over the UK - to do this they released a range of hoodies and joggers on sale in Topshop. Cara Delevingne is the the face of the campaign, but loads of other celebs have hopped on board to help raise awareness. 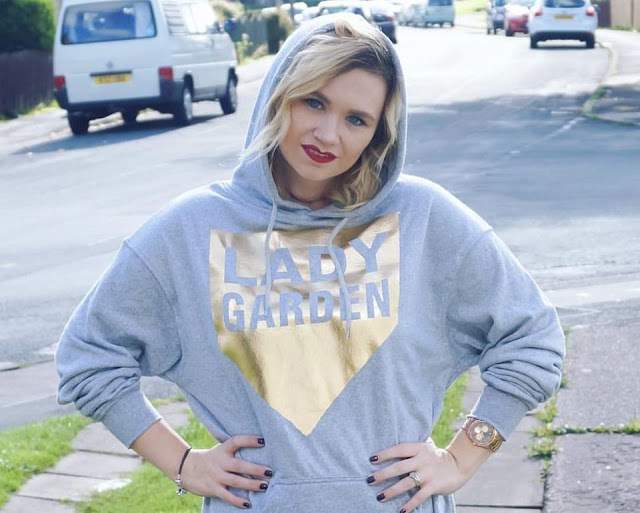 From models like Eva Herzigová, Erin O’Connor and Poppy Delevingne to iconic names like Margot Robbie, Liz Hurley and Natalia Imbruglia everyone is getting their lady garden on - so this blogger thought it was time to invest in a new hoodie and I've featured it for my Saturday #OOTD. Obviously, I decided that posing without my pants on - like said celebs - wasn't the best idea for my neighbours to see - so I decided on my new Toppers jeans (I wear petite, but they are available in regular and tall) and boots. It's a brilliant hoodie, not too thick and stylish - though, if you are going to get one, for reference mine is a size 8, so they're pretty baggy. It's a great campaign that I think a lot of young women, like myself, need to take heed of - right now these cancers are nicknamed the silent killers. Gynaecological cancers have some of the worst outcomes for women, with a devastating mortality rate of 37% and recent research revealed that over a third of women are too embarrassed to go to the doctor with gynaecological concerns – let alone talk to a friend! This, frankly, shocked and frightened me. There's so many women that talk of being empowered and independent, but how empowered can you be if you can't talk about your own healthy without shyness or shame. Let's change this today - support the campaign! Cool casual look, love the hoodie!